Leadshine offers Closed Loop Stepper Motors (stepper motors with encoders) from NEMA 23 to 42 with torque up to 20 Nm (2,832 oz-in). Those easy servo motors are integrated with 1,000-line incremental encoders. When driven by Leadshine's Closed Loop Stepper Motors, the system can fully close the position loops between the drive and motors and eliminate loss of movement synchronization with features of no loss of steps and no torque reservation. Compared with servo systems, easy servo systems have much higher low-speed torque that servo systems lack, significantly lower cost, no overshooting, and no hunting. Leadshine easy servo motors can also be implemented as standard stepper motors with encoders, and driven by stepper drives with the option of outpputing encoder signal to a motion controller, PLC, or external device. 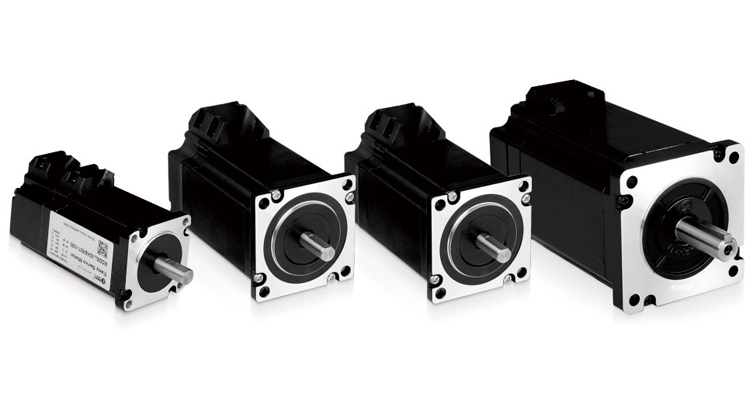 The ES-M series easy servo motors are available in NEMA 23 to 34 frame sizes with 0.9 - 8.0 Nm torque (128 - 1,133 oz-in). It was designed to be powered by Leadshine ES-D series easy servo drives taking max 80 DC / AC voltage input. The ES-MH series easy servo motors are available in NEMA 23 to 34 frame sizes with 4.0 - 20 Nm torque (466 - 2,832 oz-in). It was specially designed to be powered by Leadshine ES-DH series easy servo drives taking 110 / 120 or 220 / 230 VAC direct . Easy servo motors with integrated incremental encoders specially designed to be powered by Leadshine ES-DH series easy servo drive to provide closed loop controls, in direct 110 / 120 or 220 / 230 VAC operating environment . High torque, high precision, low motor heating, and smooth movement. NEMA 34 or 42 to 20 N.m (2,832 oz-in). Easy servo motors with integrated incremental encoders, which are specially designed to be powered by Leadshine ES-D series easy servo drives to provide closed loop controls. High torque, high precision, low motor heating, and smooth movement. They are available in NEMA 23 and 34 frame sizes up to 8 N.m, or 1,133 oz-in.